As a nanny, you have tremendous influence over the life and education of the children in your care. Whether they are babies, toddlers, or school aged children, you will no doubt have many opportunities to facilitate learning and create an environment that is educationally conducive. With the sharing of the below tips, we hope you’ll walk away feeling prepared and empowered that even the seemingly small things can make a big difference for a child’s learning. An important factor in academic success is a quiet and organized environment. A space that is disorganized and cluttered is not an environment that provides clarity for the brain. 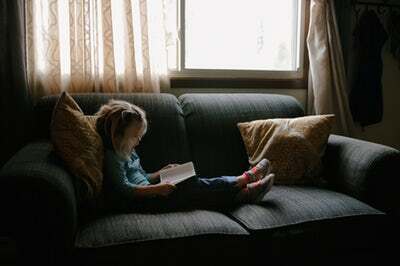 As best you can, allow the child to read books, play with learning blocks, and work on homework in an area that is open, airy, and free from clutter. Learning can be frustrating. You might remember being in a class or home setting where a concept did not come easily for you. Put yourself in the child’s shoes, when possible, and be patient. Give praise and encouragement to a child who is opening a book to read, practicing number facts, and tackling homework. The very act of doing these things can cause tension for a child who wants to do well. Your words can help and heal. Use them wisely. No one wants to do brain work on an empty stomach. Make sure your child has a healthy snack or water available to them while they are completing assignments or doing something brain intensive. Likewise, don’t force a child to sit for too long without breaks. It’s okay for children to move around while they are working. Gauge the child’s attention to the task, and if it seems they are getting antsy or distracted, give them the freedom to take a break and return to the task in a few minutes. As the primary child care professional in the home, it is imperative that you are on the same page with the parents. What are their educational goals for their children? Are they aware of the learning benchmarks for their child’s age group? What kinds of learning rich activities would the parents like to see their children doing while under your care? You want to be supportive and inclusive so the child you are caring for knows that all of the adults in his life are a united front and want the best for him. The above tips are not meant to add duties to your role or make your job as a child care provider any harder. They are simple changes that can be implemented without much thought so that the children in your care can thrive! For more tips on working with students, visit our blog at www.marylandteachertutors.com/blog.